MINDTICKLE takes Inbound Marketing Leadership..
MindTickle is an enterprise learning software company with offices in Pune, India and San Francisco, US. MindTickle is used to impact sales enablement. 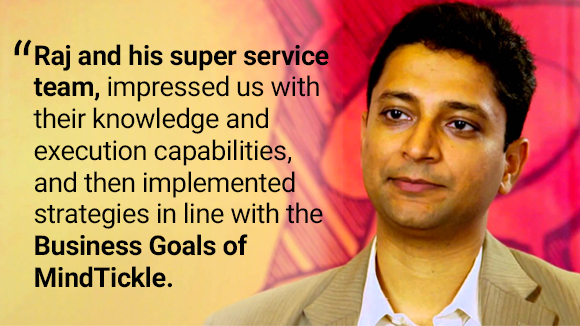 Starting 2012 and with a focus on the US, MindTickle latched onto inbound marketing as a primary customer acquisition channel. Its clients include ebay, inMobi, MakeMyTrip, Yahoo, Ola and many more.